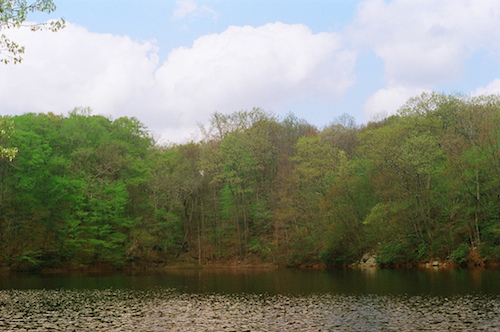 In the interior Connecticut triangle consisting of Weston, Wilton, and Ridgefield are two running treats: Devil’s Den Nature Preserve & Weir Farm National Historic Site. Devil’s Den, administered by the Nature Conservancy, is Connecticut’s largest continuous preserve. It features 20 miles of trails winding past “rocky crests, outcroppings, and cliffs forming high ledges partly covered with grasses, mosses, and lichens,” along with many plant and animal species, and a favorite for birders. The Preserve is particular treat for running in fall. 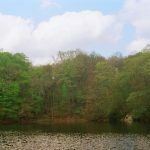 Among our recommendations is the The Laurel Trail, which leads to Godfrey Pond, where a sawmill operated from the time of the American Revolution until about 1865. Just west of Devil’s Den is Weir Farm National Historic Site. It’s the home and studio of the renowned American impressionist painter Alden Weir, with 60 acres of woods, fields, and waterways that influenced his work. It’s a wonderful spot to explore on foot! 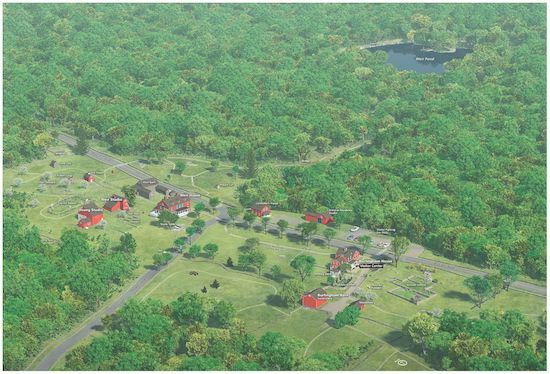 Enjoy the grounds of the home and Weir Farm, or venture into the woods for a gentle trail run on the 110-acre Weir Preserve. There are 3-4 miles of trails in total between the Farm and Preserve.